As per a new extensive study of the Hindu Kush Himalaya region, even the best efforts by humanity might not save glaciers from melting in the region. Glaciers in the Hindu Kush Himalaya region could thaw by a considerable extent the end of this century. New study by the International Centre for Integrated Mountain Development (ICIMOD) reveals. If global climate efforts tank, the temperatures could be raised by five degrees by 2100. Global warming is a real and pressing issue that is considered to be the main reason for an array of problems ranging from melting glaciers, to increased average temperatures around the globe. 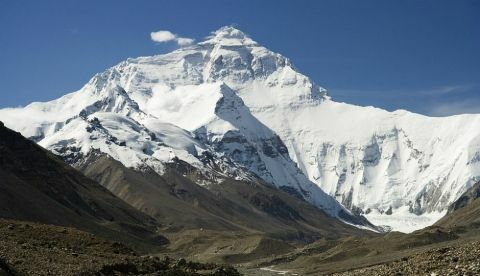 Now, a new study by the International Centre for Integrated Mountain Development (ICIMOD) says that at least a third of the ice in the Hindu Kush Himalaya (HKH) region could thaw by the end of this century, even if the Paris Agreement goal of limiting global warming to 1.5 degrees by the end of the century is met. In case the global climate control efforts fail, the study warns that at the current emission rates, around five degrees of warming and a loss of two-thirds of the region’s glaciers would be observed by 2100. The new report takes into account some previous studies that predicted a reduction of glacier volume in the HKH region between 45 to 90 percent by the end of this century. The KHK area consists of the world's highest peaks, Mount Everest and K2, and fresh water from this region flows into ten major river basins, contributing to irrigation, drinking water, and energy requirements of around 1.9 billion people. If the changes to the melting of glaciers are of unexpected magnitude and in a lesser amount of time, it could lead to a sudden flood in the regions where water from them flows to. New Chrome OS screenshots emerge; even if fake, look quite cool! The Hindu Kush Himalayan Assessment is said to include insights by over 350 researchers and was worked upon by 210 for coming up with an understanding of the region that affects China, India, Myanmar, Nepal, Afghanistan, Pakistan, Bangladesh and Bhutan. I lose internet when closing lid of laptop? Can a one plus one be repaired if it is affected due to water????? Would I lose my data on my internal HDD if I attach it to another motherboard? Are TOSHIBA Laptops available in market ? If yes, which is the best one ? Will SPICE come back in marketplace with its android one mobile?